← Lady Ga Ga ? This is an invite to a party I’m having. The design is based on some lovely old type and embellishments from America and New Zealand around 1881. The photography is doctored from an Autochrome (the first generally available colour process around 1904). 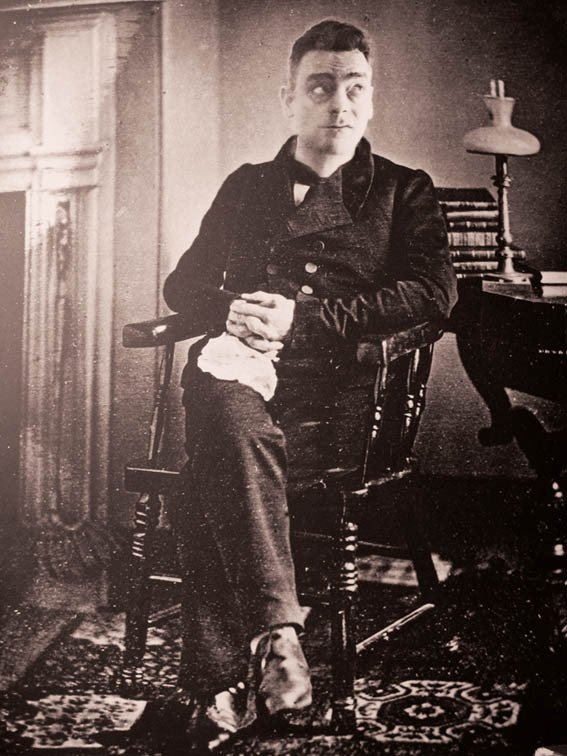 Below the invite is a doctored Daguerreotype (made from 1839 onwards) of the sixth President of the United States John Quincy Adams! This entry was posted in Design, Fun Stuff, Illustration and tagged 1881, 40th birthday, Autochrome, booze, congenial spouse, Daguerreotype, Dandy, Design, Flyer, Graphics, Illustration, party, Typography, Wine & cheese. Bookmark the permalink. 2 Responses to The new look: 1881. Ha ha ha ha! Love it! The daguerrotype is seamless! You cad sir!